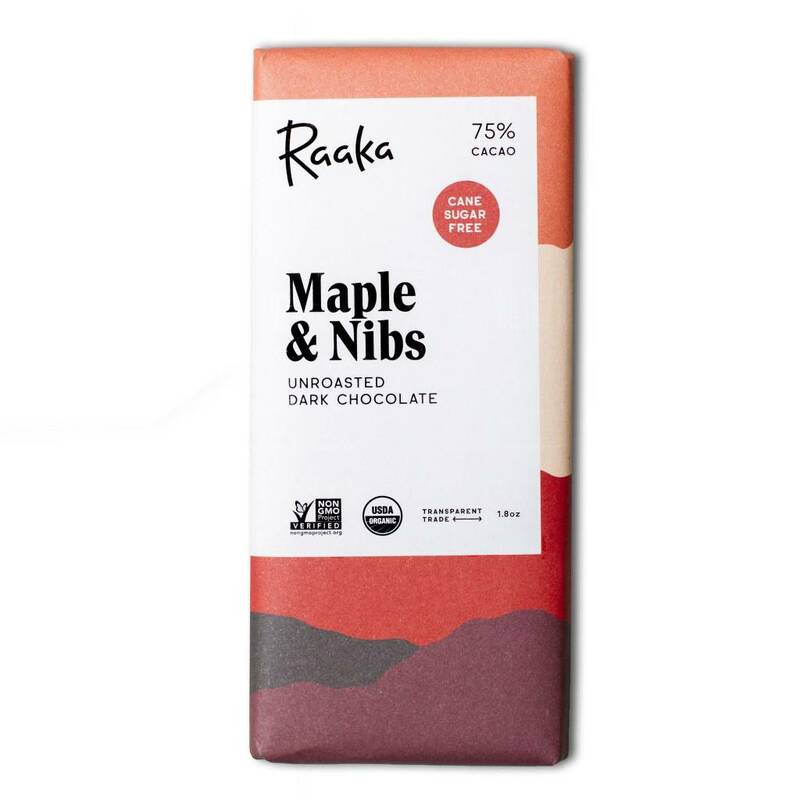 Specificities: Chocolate certified organic, vegan, kosher and non-GMO, as well gluten and soy free. Ingredients: Organic cacao beans, organic maple sugar, organic cacao butter. Nutrition Facts: Serving size: 25g (1/2 bar). Calories: 133. Fat: 9g (13%) Sat Fat 6g (26%). Cholesterol: 0mg (0%). Carbs : 13g (4%). Fiber : 3g (18%). Sugar : 8g. Prot : 2g.